2012 has come and gone, and what it a year it was. Final Fantasy XIII-2 along with its assortment of DLC saw its release in the first half of the year, while Final Fantasy itself turned a seasoned 25 years old. Final Fantasy XIV stepped out from its ruined shadow to reveal a beautiful realm reborn, and a third Final Fantasy XIII – Lightning Returns – will be joining the spotlight come 2013. 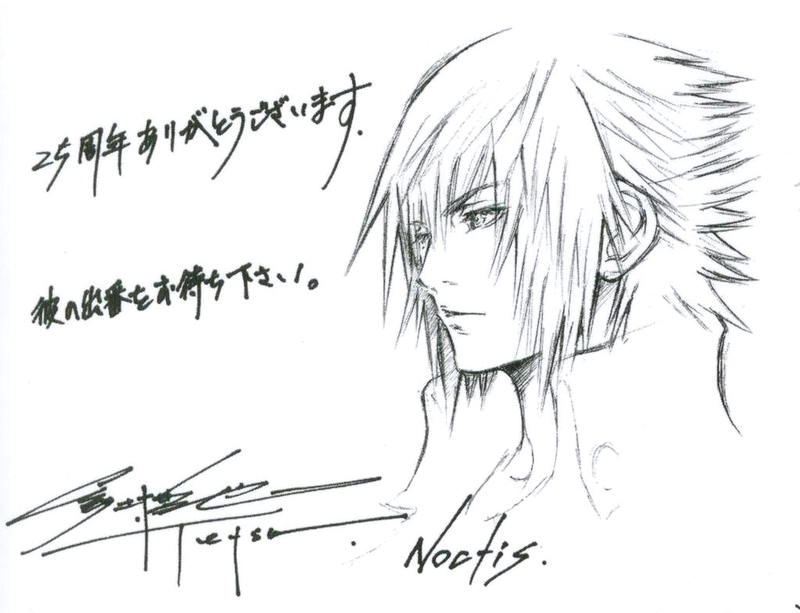 Other events brought memories and anticipation – but most curiously, a collection of sketches by Final Fantasy and Kingdom Hearts artist, Tetsuya Nomura. While 2012 was certainly not the year for his own sought after creation, Nomura still left his mark in more ways than one. Final Fantasy XI celebrated its 10th year with Vana Fest in June. This recently discovered sketch of Shantotto, Prishe, Eald’narche and Kam’lanaut congratulates the game for reaching its decade long milestone. 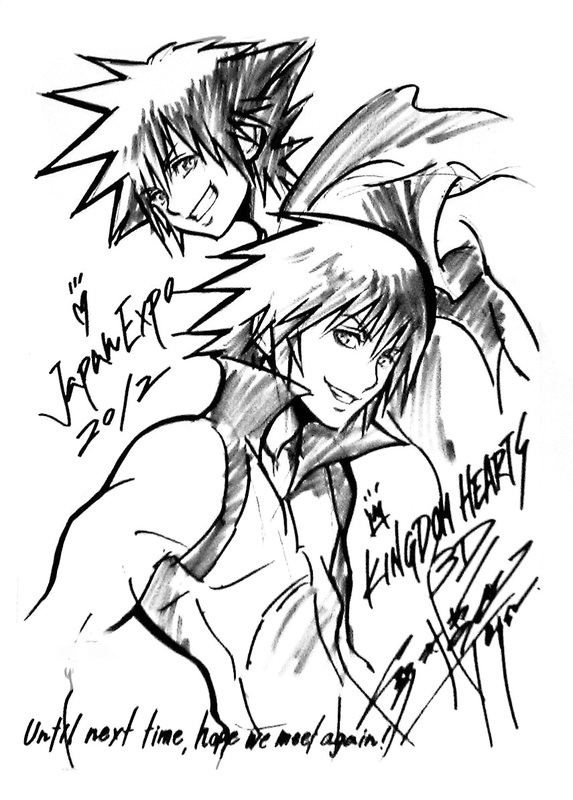 Japan Expo took place in Paris, France in July – ahead of Kingdom Hearts 3D’s North American and European releases. 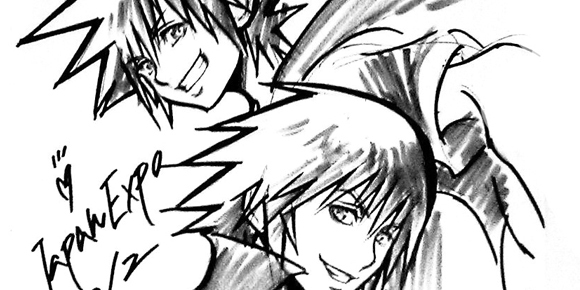 For this event, Nomura decided to draw Sora and Riku with a promise of “next time, hope we meet again.” These words would soon be followed by the announcement of Kingdom Hearts 1.5 HD ReMIX for PS3. 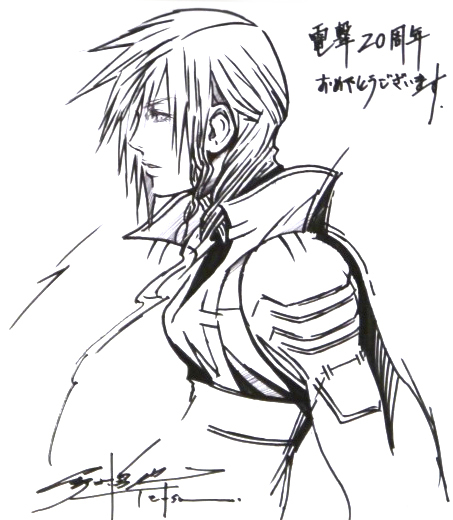 Following the announcement of Lightning Returns: FFXIII, Nomura submitted a drawing of the original Lightning in part of a celebration of Dengeki’s 20th year anniversary. 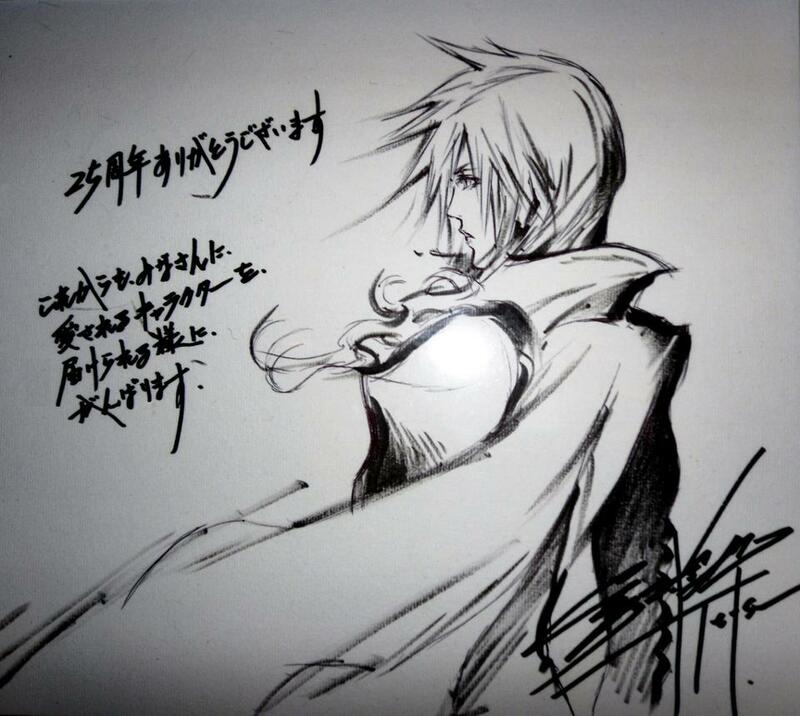 Additionally, what would go on to be somewhat of a “first look” at Lightning’s new outfit in her upcoming game, this sketch was on display at the Distant Worlds THE CELEBRATION event in London, which also included Isamu Kamikokuryou’s Lightning Returns painting. Look ahead to 2013, Final Fantasy fans have a great deal to look forward to – and hopefully, if vague words are anything to go by, the warm Spring will bring something even greater. Posted in Final Fantasy, Final Fantasy XIII, Final Fantasy XV, Kingdom Hearts, Lightning Returns: Final Fantasy XIII.